We believe that stable quality of raw material is the key to stable quality of product, our commitment to achieve excellence in quality has led us to pick the best of raw-material for input. 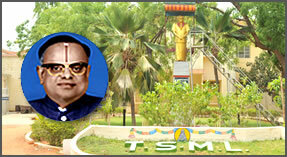 By virtue of experience and due to the founders’ relentless efforts, TSML has been continuously earning profit and growing as a leader in cotton yarn spinning in South India. Our products have greatly been accepted in the overseas markets and we export 60% of our spinning capacity to the high quality conscious markets like Korea, Hong Kong, Bangladesh, Srilanka and Spain. 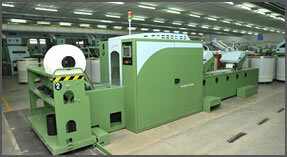 The accolades we have received from clients are the tribute to the quality and consistency of our management services. With best quality products and guidance received from our group’s Chairman Shri. P.R. Ramasubrahmaneya Rajha we continue to grow and improve further. The company has also installed 9 MW Wind Turbine generators to save the power cost substantially. The windmill capacity will take care of nearly 70% of the total power requirements of the mills after expansion. Late Shri K. Tiruvengada Mudaliar, one of the well known businessmen in Thanjavur District incorporated Thanjavur Textiles Limited in 09-06-1961 as a Public Limited Company and since 1963 we were engaged in manufacture and sale of cotton yarn. From the end of April 1998 to September 2000 the Mill was closed due to labour unrest and was re-opened on October 2000, under RAMCO Management and has been working continuously since then without any trouble.